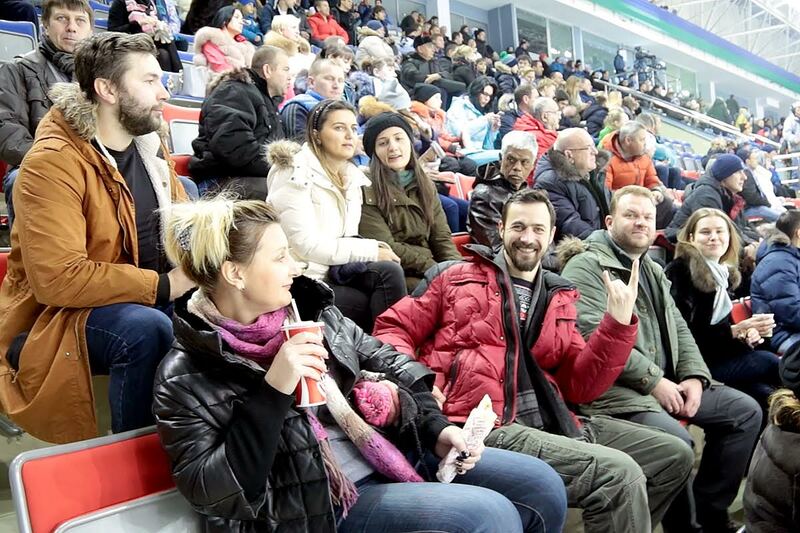 The Grand Prix participants who did not want to spend their rest day in a hotel had two options – a city tour or a hockey match of the local KHL team Ugra against Admiral from Vladivostok. 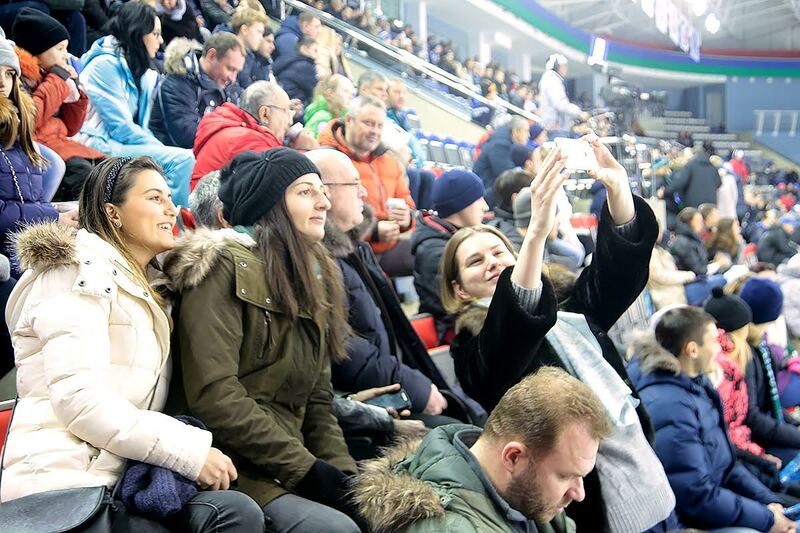 Despite various favors offered to those who pick hockey, like seats in the VIP loge or the right to do the starting face-off, only two players out of twelve fell for it – Bela Khotenashvili and Nino Batsiashvili. 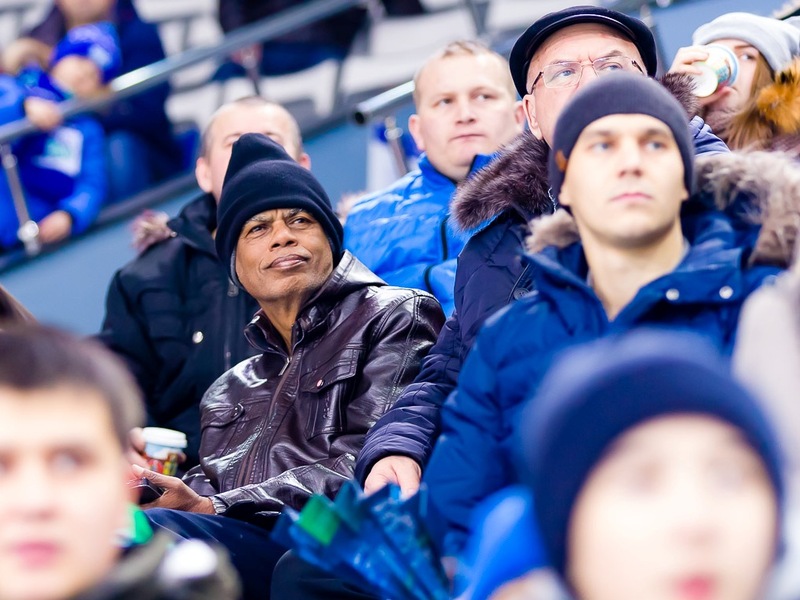 Their explanation was simple – they have never been to a hockey game. The chess delegation still turned out to be quite massive – both chief arbiters, most press-center workers, and the TV crew joined the Georgian players to support the blue-greens. And they did not regret for a minute! During the first period, Bela and Nino were absorbing all formal and informal rules, such as how many people are playing for each team, when do you have to jump on your feet, when and how you are expected to curse a referee, etc. “So how do you like hockey?”, somebody asked the girls during the first break, when they chew hot dogs and drank cola like seasoned hockey fans. “Yes, we do!” – “Do you manage to fully grasp the action?” – “Not always, but it is interesting nevertheless. It would be nice to see some goals, though.” Yeah, the game remained goalless, and that was a problem we could not fix. 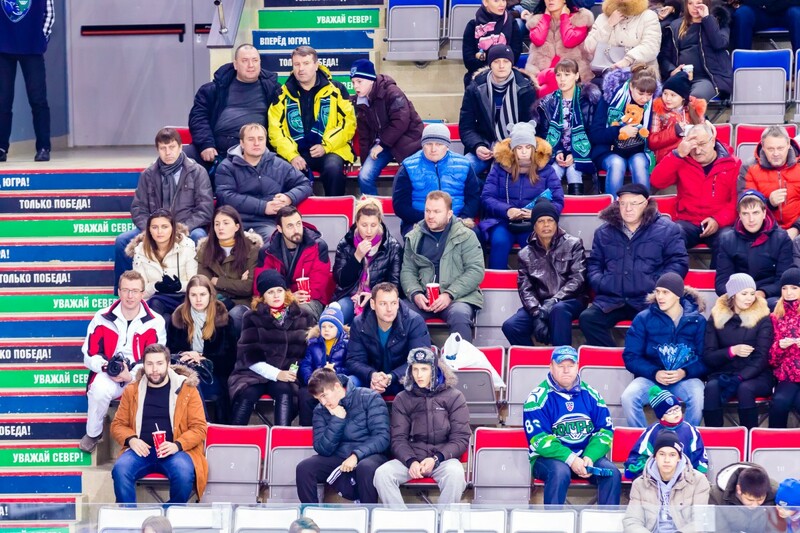 Ugra players just couldn’t get it going – poor possession, very few goal attempts, and only a goalie saved them from trouble a few times. 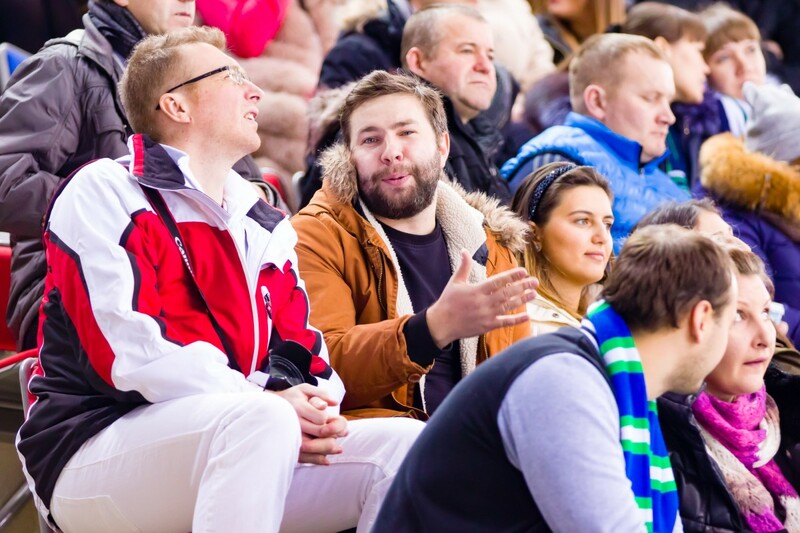 The mascot of Ugra, Parkhom the Mammoth, with the number 86 on his back, continued cheering up the crowd tirelessly. In the middle of the second period players of Admiral knocked a local defender down, and he could not get up for a while. “Oh, what happened. Is he okay?”, Bela looked worried. “No problem, he will be just fine. This is hockey!”, she got a prompt reply. The defender got up on his own indeed, and in a few minutes, having received some help from the team doctors, was already skating at full speed. However, the disk still refused to hit the net. “Ahh!”, expressed their disappointment the Georgian girls, who seemed to believe in a better outcome until the very last second. Well, there will be another hockey match on the next rest day. Ugra will play against the Chinese team, so bringing Ju Wenjun along sounds like a plan. Put it as you wish, but I think the hockey players of Ugra now owe the chess players. The girls are fighting tooth and nail in the Grand Prix! 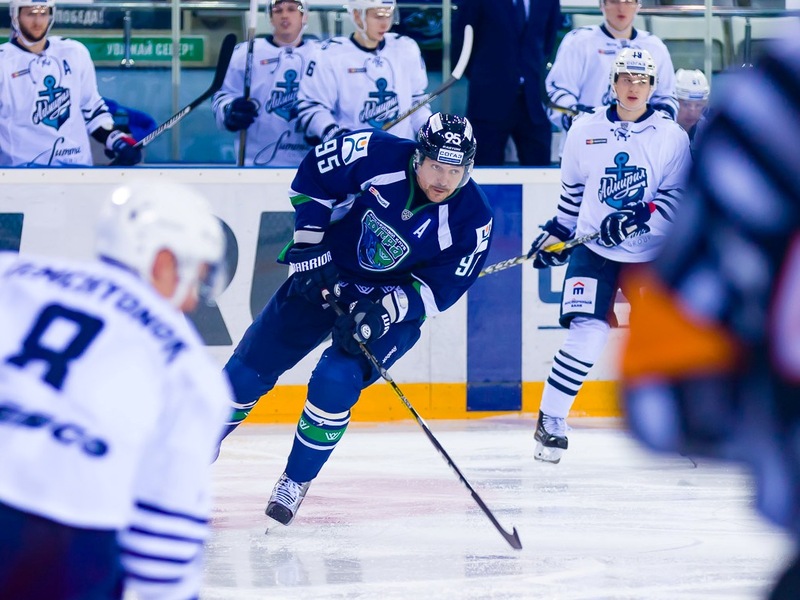 Still – good luck against Kunlun in the next game.